What choices would you make if you knew you might die soon? From the multi award-winning, best-selling author of four books, including Here, Home, Hope, a gripping and heart wrenching novel about a young mother who has it all. The only problem is she may be dying. In her previous works including All the Difference, Rouda's characters "sparkle with humor and heart," and the stories are "told with honest insight and humor" (Booklist). "Inspirational and engaging" (ForeWord), these are the novels you'll turn to for strong female characters and an "engaging read" (Kirkus). 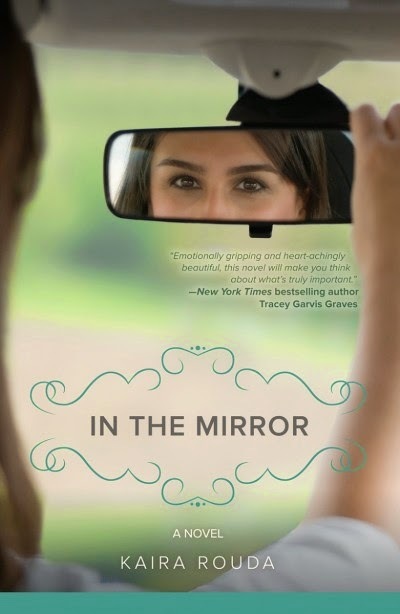 In the Mirror is the story of Jennifer Benson, a woman who seems to have it all. Diagnosed with cancer, she enters an experimental treatment facility to tackle her disease the same way she tackled her life - head on. But while she's busy fighting for a cure, running her business, planning a party, staying connected with her kids, and trying to keep her sanity, she ignores her own intuition and warnings from others and reignites an old relationship best left behind. If you knew you might die, what choices would you make? How would it affect your marriage? How would you live each day? And how would you say no to the one who got away? In the Mirror is available at Amazon. Pick up your copy at Barnes & Noble or Kobo. Download your copy at iTunes. This was an emotionally charged book, and even though it wasn't very long, it packed a huge punch. This book gives a wonderful glimpse of what it would be like to be suffering from a terminal illness, from the perspective of the person suffering and the person's loved ones. This was a well written book that flowed well. The only problem I have with the book, is that I want to know more. I say great job Kaira, I really enjoyed this book, it is one that will stay with me for a while to come. 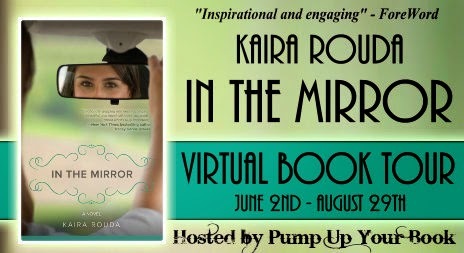 Kaira Rouda is an award-winning and bestselling author of both fiction and nonfiction. 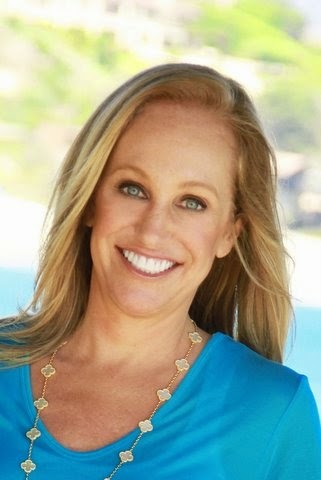 Her books include: Real You Incorporated: 8 Essentials for Women Entrepreneurs; Here, Home, Hope; All the Difference; In the Mirror; and the short story, A Mother's Day. She lives in Southern California with her husband and four children and is at work on her next novel. Her latest novel is the women’s fiction, In the Mirror. Follow her on Pinterest and connect on Goodreads. More books by Kaira Rouda. Rolling over to get out of bed, I caught a glimpse of myself in the mirror and cringed. My reflection said it all. Everything had changed. I had to get moving. I supposed my longing for activity was behind my rather childish wish to throw a party for myself. At least it gave me a mission of sorts. A delineation of time beyond what the latest in a long line of cancer treatments dictated. It had been more than 18 months of treatments, doctor’s appointments, hospitalizations and the like. I embraced the solidity of a deadline. The finality of putting a date on the calendar and knowing that at least this, my party, was something I could control. I noticed the veins standing tall and blue and bubbly atop my pale, bony hands. I felt a swell of gratitude for the snakelike signs of life, the entry points for experimental treatments; without them, I’d be worse than on pause by now. I pulled my favorite blue sweatshirt over my head and tugged on my matching blue sweatpants. Moving at last, I brushed my teeth and then headed next door to Ralph’s. He was my best friend at Shady Valley—a special all-suite, last-ditch-effort experimental facility for the sick and dying—or at least he had been until I began planning my party. I was on his last nerve with this, but he’d welcome the company, if not the topic. He was paused too. My thick cotton socks helped me shuffle across my fake wood floor, but it was slow going once I reached the grassy knoll—the leaf-green carpet that had overgrown the hallway. An institutional attempt at Eden, I supposed. On our good days, Ralph and I sometimes sneaked my son’s plastic bowling set out there to partake in vicious matches. We had both been highly competitive, type-A people in the “real” world and the suspended reality of hushed voices and tiptoeing relatives was unbearable at times. “Oh, honestly,” Ralph said, rolling his head back onto the pillows propping him up. I knew my time in Shady Valley was only bearable because of this man, his humanizing presence. Even though we both looked like shadows of our outside, real-world selves, we carried on a relationship as if we were healthy, alive. I ignored the surgery scars on his bald, now misshapen head. He constantly told me I was beautiful. It worked for us. “Too morbid? How about: ‘Only two months left. Come see the incredible, shrinking woman. Learn diet secrets of the doomed,’” I said, smiling then, hoping he’d join in. “Jennifer, give it a rest would you?” Ralph said. “You don’t have to be so testy. Do you want me to leave?” I asked, ready to retreat back to my room. Ralph was lonely, too. Friends from his days as the city’s most promising young investment banker had turned their backs—they didn’t or couldn’t make time for his death. His wife, Barbara, and their three teenage kids were his only regular visitors. Some days, I felt closer to Ralph than to my own family, who seemed increasingly more absorbed in their own lives despite weekly flowers from Daddy and dutiful visits from Henry, my husband of six years. Poor Henry. It was hard to have meaningful visits at Shady Valley, with nurses and treatments and all manner of interruptions. We still held hands and kissed, but intimacy—even when I was feeling up to it—was impossible. So, there we were, Ralph and I, two near-death invalids fighting for our lives and planning a party to celebrate that fact. It seemed perfectly reasonable, at least to me, because while I knew I should be living in the moment, the future seemed a little hazy without a party to focus on. No gifts please—donations to breast cancer research appreciated. At first, I had been incredibly angry about the cancer. Hannah’s birth, so joyous, had marked the end of my life as a “normal” person. Apparently, it happened a lot. While a baby’s cells multiplied, the mom’s got into the act, mutating, turning on each other. Hannah was barely two weeks old when I became violently ill. My fever was 105 degrees when we arrived in the ER. I think the ER doctors suspected a retained placenta or even some sort of infectious disease, although I was so feverish I can’t remember much from that time. All I remember was the feeling of being cut off from my family—Henry, two-year-old Hank, and newborn Hannah—and marooned on the maternity ward, a place for mothers-to-be on bed rest until their due dates. That was hell. At 33, I was a pathetic sight. My headache was so intense the curtains were drawn at all times. I didn’t look pregnant anymore, so all the nurses thought my baby had died. That first shift tip-toed around me, murmuring. By the second night, one of them posted a sign: “The baby is fine. Mother is sick.” It answered their questions since I couldn’t. It hurt my head too much to try. By the third day, my headache had receded to a dull roar. Surgery revealed that there was no retained placenta after all. I was ready to go home to my newborn and my life. So with a slight fever and no answers, I escaped from the hospital and went home to a grateful Henry and a chaotic household. I was weak and tired, but everyone agreed that was to be expected. I thanked God for the millionth time for two healthy kids and my blessed, if busy, life. And then, not two weeks later, I found the lump.